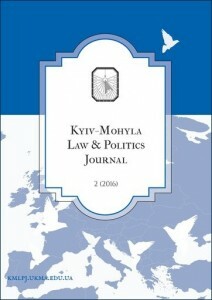 (2017) Talking Peace at the Edge of War: Local Civil Society Narratives and Reconciliation in Eastern Ukraine, Kyiv-Mohyla Law and Politics Journal, No. 3 (with G. Bazilo) (available in December 2017). (2017) “Hard security” vs. “Big Business”? 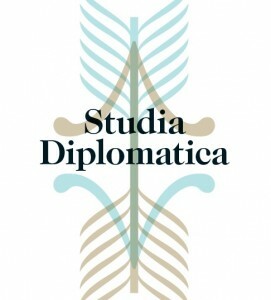 Explaining Romania’s and Bulgaria’s responses to the conflict in Ukraine, Studia Diplomatica, 86 (5): 60-79 (with R. Hincu). (2017) EU Normative Performance: A Critical Theory Perspective on the EU’s Response to the Massacre in Andijon, Uzbekistan. East European Politics, 33, 1, pp. 56-71. (2014) The Eastern Partnership and the Disintegration of Eastern Europe: The End of the Region-Building Project? European View, 13, 1, pp. 97-109. (2012) The end of democratising Europe’s ‘last dictatorship’? 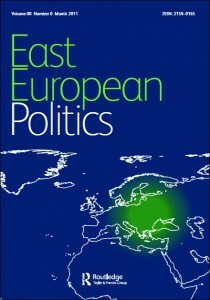 Explaining paradigm shifts in the EU’s policy towards Belarus, Journal of Common Market Studies, 50, 3, pp. 367-384. (2011) The new guardians of security in Europe? EU Foreign Policy towards Libya and Belarus, Perspectives on European Politics and Society, 12, 4, pp. 440-461. (2011) The EU’s Geopolitical Vision of a European Energy Space: When ‘Gulliver’ meets ‘White Elephants’ and Verdi’s Babylonian King, Geopolitics, 16, 3, pp. 512-535. (2011) Introduction: The Geopolitics of Energy Security in ‘Wider Europe’, Geopolitics, 16, 3 (with A. Schmidt-Felzmann), pp. 497-485. (2010) The EU’s relations with Moldova: Governance, Partnership or Ignorance?, Europe-Asia Studies, 62, 8, pp. 1291-1309. (2009) Changing Belarus? The Limits of EU Governance in Eastern Europe and the Promise of Partnership, Cooperation and Conflict, 44, 2, pp. 143-65 (with E. Korosteleva). (2009) The Values/Security Nexus: The Limits of EU Governance in Eastern Europe, Contemporary Politics, 15, 2, pp. 215-227. (2007) Values in the EU’s Neighbourhood Policy: Political Rhetoric or Reflection of a Coherent Policy?, European Political Economy Review, 7, 1, pp. 38-62. (2006) Lost in Translation? 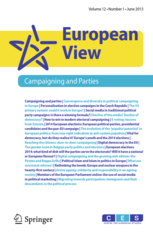 Political Elites and the Interpretative Values Gap in European Neighbourhood Policies, Contemporary Politics, 2, 12, pp. 117-137 (with G. Bogutscaia and A. Schmidt-Felzmann). (2013) Values vs. Security? 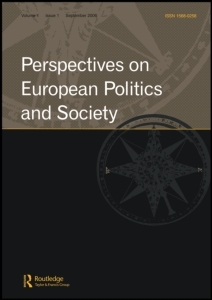 The Choice for the EU and Its Neighbours, Manchester, Manchester University Press (with G. Noutcheva and K. Pomorska). 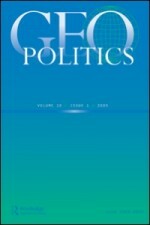 (2011) Guest Editor: The Geopolitics of Energy Security in ‘Wider Europe’, Special Issue, Geopolitics, 16, 3 (with A. Schmidt-Felzmann). (2018) EU normative performance: a critical theory perspective on the EU’s response to the massacre in Andijon, Uzbekistan. In Baltag, D., Papadimitriou, D. and Surubaru, N. C.The European Union and Central and Eastern Europe: Assessing Performance, Routledge (available in spring 2018). (2017) EU-Belarus Relations. In Schumacher, T., Marchetti, A. and Demmelhuber, T., The Routledge Handbook on the European Neighbourhood Policy, Routledge (available in December 2017). (2016) Markets versus Morals? Assessing EU Arms Exports to Autocratic Regimes in its Closer and Wider Neighbourhood. In Gstöhl, S. The European Neighbourhood Policy in a comparative perspective: Models, challenges, lessons. Routledge, pp. 282-302. (2016) The EU’s Eastern Partnership with Moldova: A ‘Best-Case’ Scenario for EU Security Community-Building?. In Rieker, P. External Governance as Security Community Building. Palgrave Macmillan, pp. 49-77 (with D. Baltag). (2016) European Union Policy towards Belarus and Libya: Old and New Double Standards? In Cierco, T. The European Union neighbourhood: challenges and opportunities (2nd ed). Routledge, pp. 83-98. (2013) From ‘Villains’ to the New Guardians of Security in Europe? Paradigm Shifts in EU Foreign Policy towards Libya and Belarus, in: Kaunert, C. and Léonard, S. (Eds) European Security Governance and the European Neighbourhood after the Lisbon Treaty, Routledge, London, pp. 80-101. 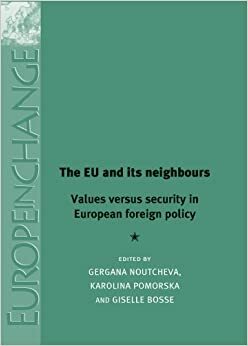 (2013) The Eastern Partnership with Belarus: Towards a values-security nexus?, in: G. Noutcheva, K. Pomorska and G. Bosse (Eds) Values vs. Security? The Choice for the EU and Its Neighbours, Manchester University Press, Manchester. (2013) Introduction, in: G. Noutcheva, K. Pomorska and G. Bosse (Eds) Values vs. Security? The Choice for the EU and Its Neighbours, Manchester University Press, Manchester. (2013) European Union policy towards Belarus and Libya: old and new double standards?, in: Cierco, T. (Ed) The European Union Neighbourhood: Challenges and Opportunities, Ashgate, Aldershot, pp. 83-88. 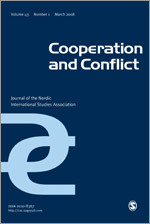 (2010) The EU’s Role in Georgia: Towards a Coherent Crisis Management Strategy?, in: A. Juncos and E. Gross (Eds) EU Conflict Prevention and Crisis Management: Institutions, Policies and Roles, Routledge, London, pp. 131-144. (2008) Justifying the European Neighbourhood Policy Based on ‘Shared Values': Can Rhetoric Match Reality?, in: E. Tulmets and L. Delcour (Eds) Pioneer Europe? EU Foreign Policy in the Neighbourhood, Nomos, Baden-Baden, pp. 43-54. (2008) The EU’s Neighbourhood Relations with Eastern Europe and Russia: Values, Interests and Future Challenges for EU Foreign Policy, in: B. Demirtas-Coskun and B. Balamir-Coskun (Eds) Neighbourhood Challenge: The European Union and Its Neighbours, Universal Publishers, United States, pp. 313-328. (2018) Human rights in Belarus: the EU’s role since 2016. Policy Report for the Subcommittee on Human Rights in the European Parliament (available in spring 2018). (2014) The ENP as an instrument for building a security community? The Case of Moldova (Policy Brief). Oslo: Norwegian Institute of International Affairs (with D. Baltag). Available here. (2012) The EU and Belarus: perpetual tango all over again? (Policy Brief). Brussels: European Policy Centre. Available here. (2012) Quo Vadis Belarus? And where next for EU policy? (Policy Brief). Berlin: Institut für Europäische Politik. Available here. (2011) The EU’s Role in the Eastern Neighbourhood: Addressing the Decline of Democracy (Policy Report). Helsinki: The Finnish Institute of International Affairs. Available here. (2011) Civil Society and young people in Belarus: A force for political change or ‘silent majority’? Policy Brief, Roundtable Conference: Democracy promotion East and South after the Arab Spring (Policy Brief). Brussels: Trans-European Policy Studies Association/ Institut für Europäische Politik. (2008) ENPI implementation: Belarus. Policy Report for the Foreign Affairs Committee in the European Parliament (with A. V. Guedes Vieira). Available here. (2017) Workshop Organiser, NIG Colloquium Workshop, Maastricht, 9-10 November 2017 (with V. Junjan). (2016) Workshop Organiser, ‘The EU’s relations with Eastern Europe and Central Asia: The role of Non-State Actors’, Maastricht University, Maastricht, 28-29 April 2016 (with M. Natorski and R. Dirix). (2013) Workshop Organiser, NIG Colloquium Workshop, Maastricht, 24 May 2013 (with V. Junjan). (2012) Workshop Director, ‘The Politics of Double Standard? Revisiting the EU’s Engagement with Authoritarian Regimes’, ECPR Joint Sessions, Antwerp, 10-15 April 2012 (with E. Baracani and T. Casier). (2011) Workshop Organiser, ‘Democracy promotion East and South after the Arab Spring: Re-evaluating the EU’s Engagement with Authoritarian Regimes’, Maastricht University, Brussels Campus, Belgium, 1-2 December 2011. 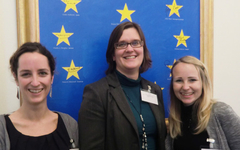 Picture, from the left: with co-organisers Mirte van den Berge (Trans-European Policy Studies Association) and Katrin Boettger (Institut für Europäische Politik). Speakers included inter alia: Jacek Saryusz-Wolski, Ian Manners, Zaki Laïdi, Hugues Mingarelli, Lisbet Aggestam, Michele Comelli, Francesco Cavatorta, Balázs Jarábik, Michael Emerson, Rosa Balfour, Stelios Stavridis, Anke Schmidt-Felzmann, Fabienne Bossuyt, Syuzanna Vasilyan, Mariella Falkenhain, Marco Siddi, Olga Kapustina, Dana Depo, a.o. (2016) Guest Speaker: Panel Debate, Politiek Cafe- Referendum Oekraïne, Sittard, 30 March 2016. (2016) Guest Speaker: Panel Debate, Ukraine Debate, Centre Céramique, Maastricht, 25 February 2016. Picture, from the left: with MEP Kati Piri, Moderator from JEF Netherlands, Oleksandr Snidalov (Ukraine Referendum Group) and Arjan van Dixhoorn (Burgercomité EU). (2015) Guest Speaker: Lecture, ‘The Ukraine and other Conflicts in the Region’, Studium Generale, Maastricht University, 4 December 2015. 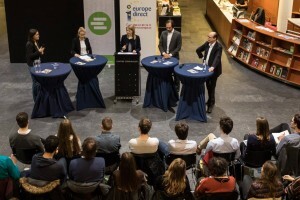 (2015) Guest Speaker: Panel Debate, ‘EU, Oekraïne en Rusland: een driehoeksverhouding in meerdere bedrijven?’, Universiteit Utrecht, 2 December 2015. (2015) Paper presentation: Assessing the performance of the European Union in Central and Eastern Europe and in its Neighbourhood, Workshop, Manchester, 12-13 March 2015. 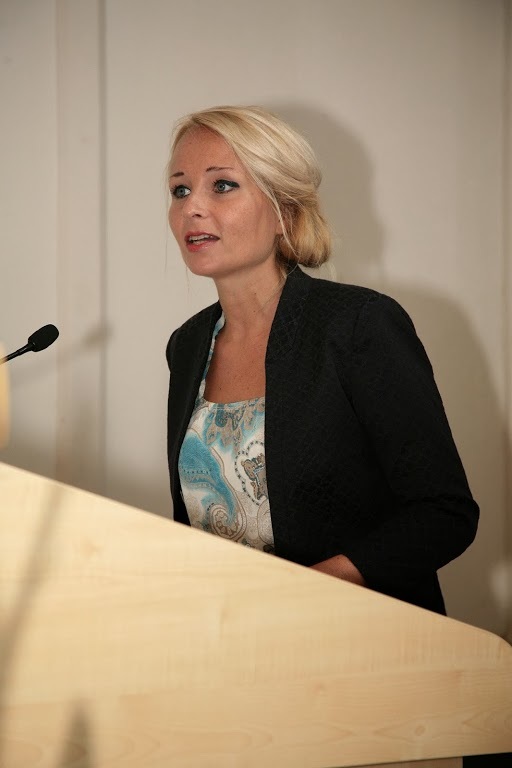 (2014) Speech at the launch of European View special issue on ‘A Changing Eastern Neighbourhood’, Wilfried Martens Centre for European Studies, Brussels (10 September 2014). (2014) Paper presentation: ‘The impact of austerity politics on European Union (EU) foreign policy: ‘real’ or ‘constructed’ effects?’, 7th Pan-European Conference on the European Union, The Hague, The Netherlands, 5-7 June 2014. (2014) Paper presentation: Challenges and lessons for the EU’s economic cooperation with autocratic leadership in its neighbourhood, ENP in a Comparative Perspective, Conference, College of Europe, Bruges, 20-21 March 2014. (2014) Paper presentation (with D. Baltag) ‘Expanding the EU’s security community to Moldova and Ukraine’, Workshop Rule of Law in EU External Action, Leuven Centre for Global Governance Studies, 27-28 February 2014. (2013) Speaker: Roundtable, Focus on Eastern Europe – Engaging with Belarus and Ukraine, Conflict Prevention and Peace Forum (CPPF), Social Science Research Council (SSRC), Brooklyn, New York, 9-10 December 2013. (2013) Paper presentation: ‘Moldova’ (with D. Baltag), Workshop: The European Neigbourhood Policy (ENP) as security community building instrument. A comparative study of the role of the ENP in Ukraine, Moldova, Tunisia and Morocco, Norwegian Institute of International Affairs, 31 October 2013. (2013) Participant in panel debate ‘The Eastern Partnership beyond Vilnius: Opportunities and Challenges’ with Deputy Minister of Foreign Affairs of Lithuania, Andrius Krivas. Permanent Representation of Lithuania in the European Union, Brussels, October 2013. (2013) Participant in Round Table: ‘EU restrictive measures against Belarus, Workshop on EU Sanctions, European Policy Centre, Brussels, October 2013. (2013) Section Chair (with M. Natorski) and paper presentation: Crises – whose crises? Autocratic regimes and the (re-)construction of the ‘world in crisis’, 8th Pan-European Conference on International Relations, Warsaw, 18-21 September 2013. (2013) Lecture: The European Union and Belarus, Ghent University, 3 May 2013. (2013) Paper presentation: Crisis? Whose crises? Comparing the ‘real’ and imagined effects of the Euro-crisis on EU democracy promotion policy, Workshop organised by A. Schmidt-Felzmann, Stockholm University, Sweden, 18-19 May 2013. (2012) ‘Effective management vs. democracy? EU support for the administrative capacity of public institutions in autocratic regimes in Eastern Europe/ Central Asia’, NIG Annual Work Congress, University of Leuven, 29-30 November 2012. (2012) Speaker, ‘Review of EU Policy’, Belarus Reality Check, Lithuanian Ministry of Foreign Affairs, Vilnius, 20 November 2012. (2012) Speaker, ‘Quo Vadis Belarus? And where next for EU policy’, German-Nordic-Baltic Forum, Finnish Insitute of International Affairs, Helsinki, 27-28 September 2012. (2012) ‘Many sticks, few carrots and no rabbit: Assessing the (limited) effectiveness of EU norm transfer in Belarus’, 9th CEEISA Convention, Krakow, 20-22 September 2012. EU’s Relations with Authoritarian Regimes’, UACES Annual Conference, Passau, 3-5 September 2012. (2012) ‘Social Media for academic purposes. digitaal leren en samenwerken per blog en Twitter’, Studiedag “ICT en Onderwijs in de Humaniora”, Free University Amsterdam, 7 June 2012. (2012) Speaker, Briefing on Belarus, Foreign Affairs Committee of the European Parliament, Brussels, 12 January 2012. (2011) ‘Just walk beside me and be my friend': Does the EaP work better through Partnership-Building’, UACES Conference, Cambridge, 5-7 September 2011. (2011) ‘Belarus after the 2010 presidential elections: comparing reactions from Brussels and Moscow’, UACES Conference, Cambridge, 5-7 September 2011. (2011) ‘The clash of good intentions? Comparing the substance of European and international democracy promotion activities in Belarus’, Workshop Paper, University of Ghent, 24 June 2011. (2011) Speaker, ‘The end of democratising Europe’s ‘last dictatorship’? Assessing the EU’s Eastern Partnership with Belarus’. University of Leicester, 18 June 2011. (2011) Speaker, ‘The The EU’s Role in the Eastern Neighbourhood: Addressing the Decline of Democracy’, The Finnish Institute of International Affairs, Helsinki, 20 April 2011. (2011) Speaker, ‘Saint Europe? Prospects for EU Foreign Policy’, University of Amsterdam, 13 April 2011. (2011) ‘From ‘villains’ to the new guardians of security in Europe? Paradigm shifts in EU Foreign Policy towards Libya and Belarus’. Conference Paper, University of Salford, 27 January 2011. (2010) Speaker, ‘The European Neighbourhood Policy: How to give new impetus to its Eastern dimension?, Roundtable Conference, TEPSA/Institut für Europäische Politik/Volkswagen Foundation, Berlin, 22/23 November 2010. (2010) Speaker, ‘Belarus and the EU: business as usual?, European Policy Centre, Brussels, 28 October 2010. (2010) Speaker, ‘Insights from Brussels on the present and future of the EU – Ukraine relations’, Parliamentary Committees, Verkhovna Rada (Parliament of Ukraine), Kiev, 18 June 2010. (2010) Panel Convenor, ‘The Future of EU external governance: Comparing experiences in Central and Eastern Europe’ (with V. Junjan), NIG Annual Work Conference, Maastricht, 25-26 November 2010. (2010) ‘Democratisation through the back door? Realpolitik in the EU’s policy towards Belarus’. Paper for the SGIR Conference, Stockholm, 9-11 September 2010. (2010) ‘The EU’s relations with Ukraine, Moldova and Belarus: Governance, Partnership or Ignorance?’. Paper for the ICCEES World Congress, Stockholm, 26-31 July 2010. (2010) ‘Holes in normative power Europe? Realpolitik in the EU’s policy towards dictators in its neighbourhood’. Paper for the GARNET conference, Brussels, 22-24 April 2010. (2009) Speaker, ‘The effectiveness of EU governance in Belarus’, European Policy Centre, Brussels, 26 November 2009. (2009) Speaker, ‘Changing Perspectives: The EU from Belarus’ point of view’, TEPSA/Institut für Europäische Politik, Conference, Brussels, 4/5 November 2009. (2008) Speaker, Round Table on ‘Freedom of speech and the development of civil society in Belarus’. College of Europe, Bruges, 8 April 2008. (2008) ‘Europeanising Belarus?’, Joint Paper presented at the 5th Wider Europe Conference, European Parliament, Brussels, 12-13 March 2008. (with E. Korosteleva). (2007) Speaker/ Panel Chair/ Discussant: ‘Security Aspects in EU External Policies’, Workshop organised by the EU External Relations Working Group, European University Institute, Florence, Italy, 14-15 December 2007.